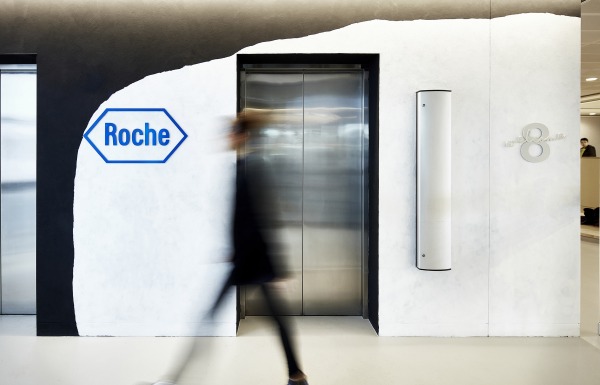 THERE were engaged to create workplace graphics & wayfinding for a new head-office for Roche Australia - a world leading company in pharmaceutical excellence. We were tasked to help create an inspiring environment that would foster a cultural shift towards greater flexibility and collaboration. Previously located in Sydney’s Northern Beaches, Roche decided to relocate their Australian head office to 4,500m2 site in the CBD, commissioning Hassell to help create a modern and vibrant workplace with greater accessibility & connectivity to the city. 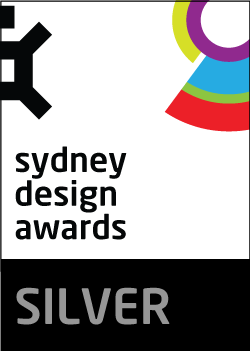 They then approached THERE to create workplace graphics & wayfinding for their new space. Our scope was to develop workplace wayfinding & signage alongside wall graphics and reception branding that would enhance their new space whilst also helping to make it feel intrinsically branded. To Roche, ‘innovation is our lifeblood’ - working to spearhead new medicines and diagnostic tests that help millions of patients globally. Their work is at the forefront of cancer research and a frontrunner in the creation of personalized healthcare, and so that sense of innovation had to be conveyed within their new workplace. Across the site, lift cores anchored the north and south ends of the building. By wrapping each core in a distinctive design we could create navigation aids to help staff orientate themselves within the building. Large graphics would also become strongly identifiable backdrops for different teams. 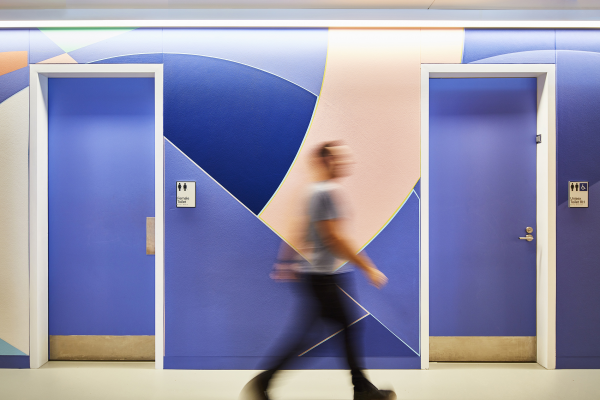 As Roche has an established history of supporting the arts, we commissioned unique installations for each lift core. 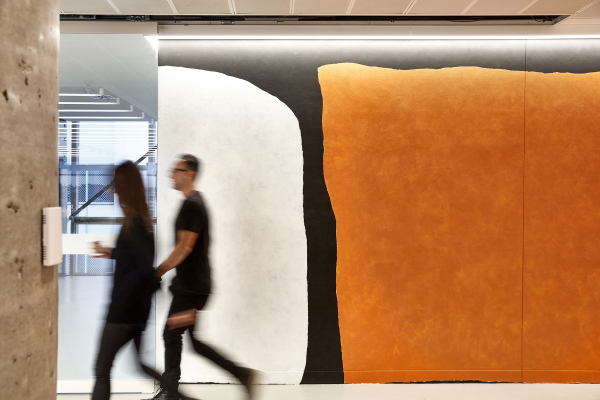 Four local artists were tasked to produce an insitu wall-work for one of the locations, and encouraged to explore the parallels between science and art whilst responding to one of the company’s brand values. The final part of scope was a digital animation that would be used as content for the workplace AV equipment. We designed a series of morphing linework graphics that continuously flowed from one theme to another, illustrating the different attributes of the company. 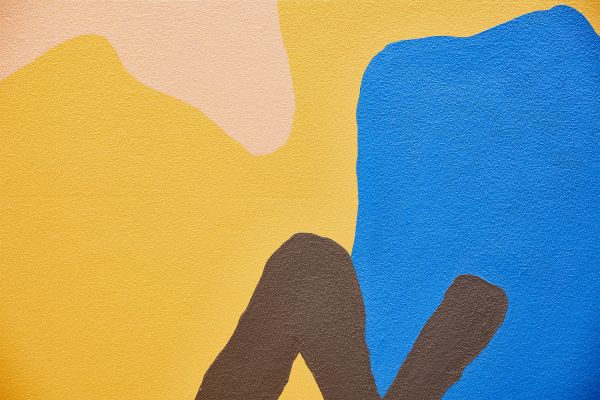 A hand-drawn style reflected the empathetic work of the company, but also helped to visually knit the digital components in with the commissioned artworks. 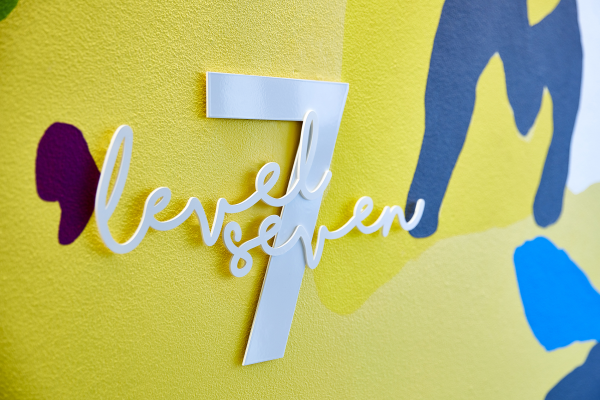 A script font was used to interpret the animation, and then further used on signage within the building, ensuring that all elements were all centred around the same connective theme. 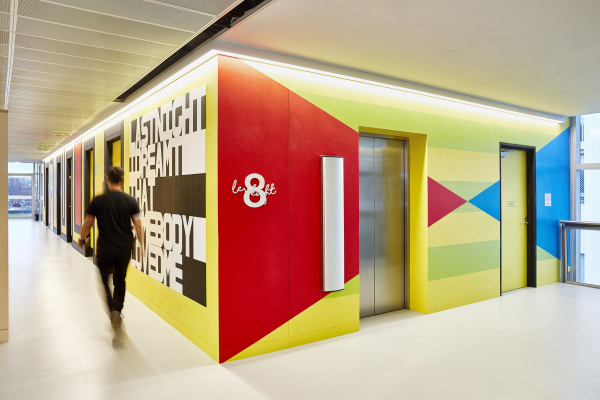 The challenge was to help activate a new workplace through the integration of graphics, signage & wayfinding elements. 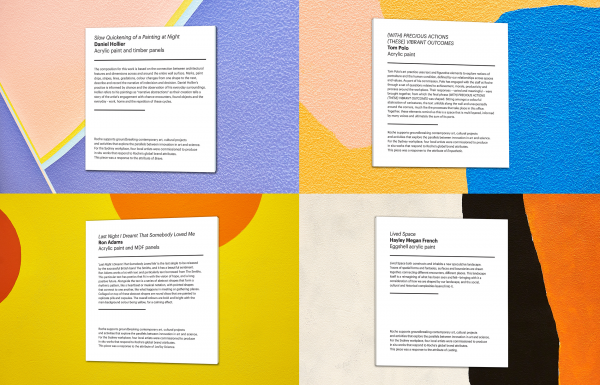 Due to the open-plan interiors, and lack wall space a traditional approach to environmental graphics wasn’t feasible - so we redefined the brief to focus on creating placemaking features that would help to anchor spaces & aid navigation. Our work had to act as a bridge between the company’s innovative scientific research and their personal connection to patient-care. The space also needed to strongly foster a sense of community between employees who had previously been distributed across a variety of sites. 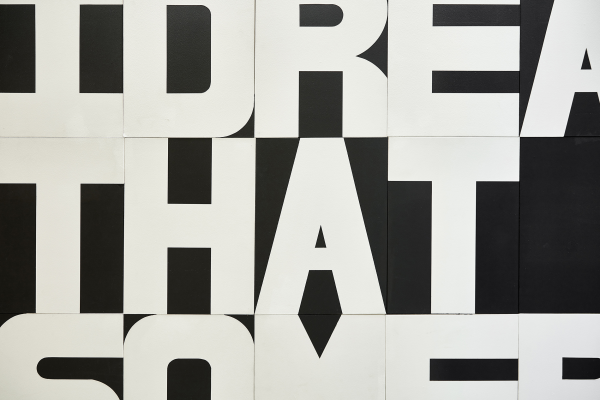 The artworks connected the company’s scientific research to a more human visual language, demonstrated through the expressive designs that were hand painted across the walls. This evidence of human hand was a direct response to Roche’s progressive work in creating personalised, human healthcare. Each work was over 25m long and highly visible from various spots within the workplace. 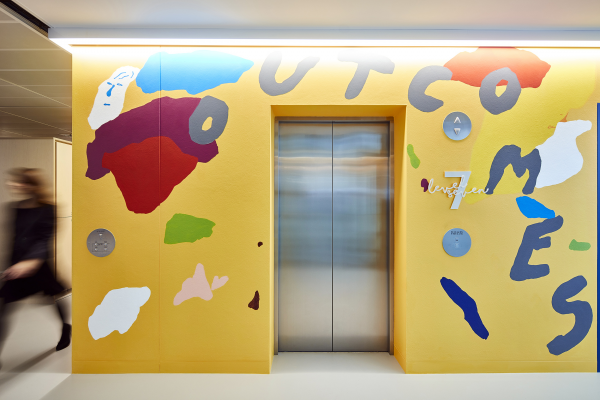 The large scale created highly legible spaces that people could easily navigate through, but also helped to define zones and anchor team-groups - fostering a sense of community between departments working within an open-plan space.